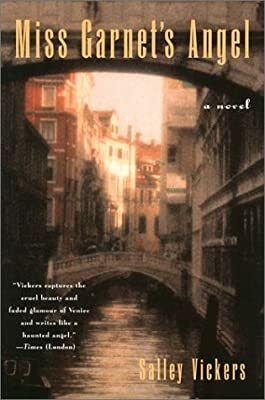 Stories magically unfold within this novel’s irresistible tale of Miss Julia Garnet, a schoolteacher who decides, after the death of her longtime friend Harriet, to take an apartment for six months in Venice. Soon overwhelmed by the sheer beauty of the city and its magnificent art, Miss Garnet’s English reserve begins to melt away. For the first time in her life she falls in love—with an art dealer named Carlo—and her once ordinary world is further transformed by a beautiful Italian boy, Nicco, and an enigmatic pair of twins engaged in restoring the fourteenth-century Chapel-of-the-Plague. Most affecting to Julia, though, is her discovery in a local church of panels depicting the ancient tale of Tobias and the Angel. As Julia unravels the story of Tobias’s redemption, she too strives to recover losses—not just her own but also the priceless painting of an angel that goes mysteriously missing from the Chapel along with one of the twins restoring it. His name is Toby. And Miss Garnet herself may prove to be an angel, but nowhere in this haunting, beautifully textured and multilayered novel is anything quite what it appears to be.